Private water-front estate with 12,500 sq. ft. under a/c. Amenities include a private dock; vehicular arrival court and arrival court parking paved with tumbled marble bricks; vehicular arrival court also includes a carved stone fountain; pedestrian arrival court with carved stone fountain; infinity edge swimming pool overlooking the bay; second story infinity-edge pool overflowing into first level pool; sculpture garden, private courtyard with additional fountain and lush tropical planting. 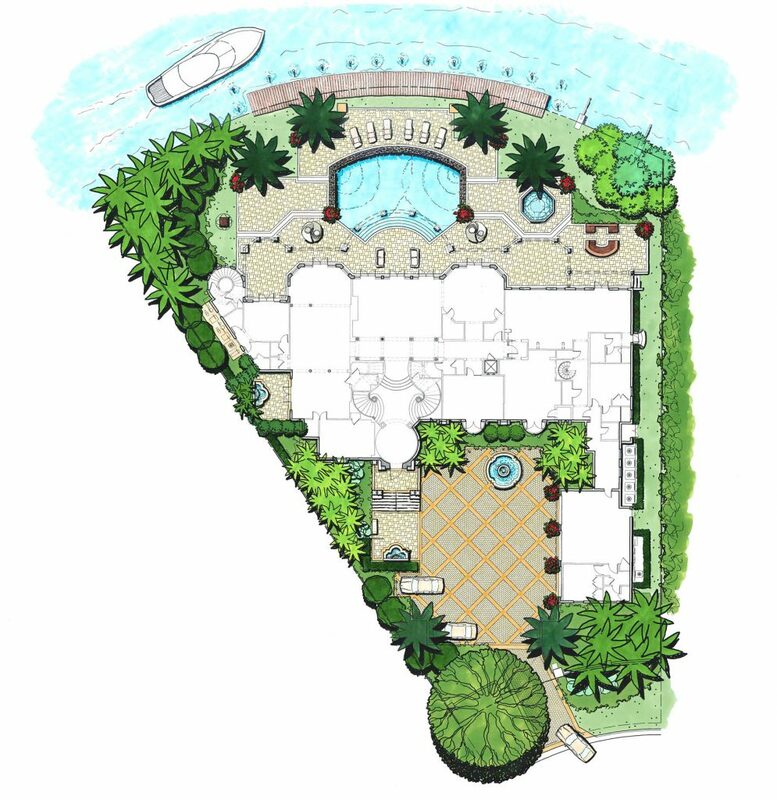 Conceptual design through construction documents for the entire site including hardscape, landscape, fountains, site lighting, sculpture garden and upper story terrace. Also included are material selections and site observations.